When I began PROMISE ME TEXAS, I thought about how some people are actors and some are reactors. Some, like my Beth McMurray, are tired of waiting and decide to make change happen, while others watch. On a sudden impulse, she travels north, catching up to the train her fiancé is on. She plans to surprise him. Within hours, she realizes her mistake. He’s not the man she thought him to be. When a train wreck happens, she has only a moment to stand by the bum, or turn to a stranger and claim him as hers. As always, Beth jumps. Andrew McLaughlin, on the other hand, has always been a reactor. He watches people, writes about places and daydreams. When the beautiful lady claims him as hers, he goes along, interested in the details of this story this pretty lady seems to be living in. When he first wakes up from the wreck, injured and disoriented, he finds they’re engaged. Second time, Beth claims they are married. Third time, he sees two kids in the picture. Confused, he doses off wondering what the grandkids will look like when he wakes again. I loved the way the characters came together in PROMISE ME TEXAS. My hero is a watcher of people, afraid to ever get too close. Everyone he’s ever cared about in his life is gone and he’s alone. My Beth leads with her heart and not her head. She’s a woman used to getting what she wants, no matter what stands in her way. When she sees someone who needs her, even having to interrupt a gunfight doesn’t pose a problem. Her bravery wins over the leader of an outlaw gang who is hunting her make-believe husband. Since this book is set in 1879, a time of great change in Texas, I included a story of young love that flows along through the plot. Not all great love stories start with passion; some start with friendship. Cody wants to take care of Madie, but he doesn’t know how. Because he is two years older, he begins to give her advice. I hope everyone enjoys PROMISE ME TEXAS. I promise I’ll take you on a great adventure that will make you smile and maybe just laugh out loud. It might even remind you of the day you took the path less traveled and ended up in a most delightful place. 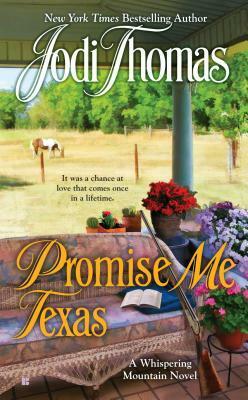 To pre-order a copy of PROMISE ME TEXAS click here: www.jodithomas.com. The official release date is November 5. Jodi Thomas is the NY Times and USA Today bestselling author of 38 novels and 11 short story collections. A five-time RITA winner, Jodi currently serves as the Writer in Residence at West Texas A&M University in Canyon, Texas. Too bad not all memories are pleasant! Everyone in Whiskey Creek remembers Sophia DeBussi as the town’s Mean Girl. Especially Ted Dixon, whose love she once scorned. Sophia is reduced to looking for any kind of work to pay the bills and support her daughter. With no other options, she becomes housekeeper for none other than Ted, now a successful suspense writer. He can’t bring himself to turn his back on her, not at Christmas, but he refuses to get emotionally involved. He learned his lesson the last time. My take: When Sophia and Ted were in high school they were madly in love and planned to spend the rest of their lives together. Things changed though and Sophia ended up married to a wealthy and emotionally and physically abusive man. Fourteen years later, Sophia finds herself a widowed mother, broke, and working for the last person she’d expect to be her employer. Desperate times call for desperate measures. Sophia has no choice if she wants to provide for her daughter. She needs to save money so she and Alexa can move away from Whiskey Creek and make a new life where no one knows them. Ted tried to get over Sophia after she married another man but he never quite did. He became a successful author but hasn’t found the same success in a relationship. Recently he’s started dating a long-time friend, Eve. He attempts to distance himself emotionally from Sophia but that’s difficult now that she’s in close proximity. The attraction is as strong as ever. Take Me Home For Christmas is a story of love and forgiveness and redemption. I wondered how Brenda Novak would bring Sophia and Ted together after finding out bits and pieces of their history in previous books. I enjoyed how she did it and hope we get to learn a little more of the rest of their story in the next book. Recommended for fans of the Whiskey Creek series and small town Christmas romances. A special shout-out to Lisa who shared a duplicate of Christmas Bliss. Thanks, Lisa!! I look forward to reading it before Christmas. I also want to send kudos to the audiobook narrators who are the force behind the Audiobook Marathon LIVE event. I hope you’ll check out the online auction (open to US bidders) and support this important cause. 25 Hours, 12 Genres, 1 Amazing Causes! You’ve heard them through your speakers, earbuds, and headphones, now see them perform live! 25 Hours, 12 Genres, 1 Amazing Cause! The event begins with a one hour Children’s Hour. The remainder of the event will occur in 90-minute performance blocks. Audible Inc. has donated one free download with the purchase of every ticket. Attendance required to collect. Audiobook lovers and literature buffs can delight in the rare opportunity to see and hear LA’s top audiobook narrators and celebrity guests come together live to perform selections from time honored classics and contemporary best sellers of every genre. The marathon will begin with a Children’s Hour followed by twelve 90-minute performance blocks. In each block a different collection of five fan favorite narrators will read selections in a specific genre of literature. Beer, wine, coffee and other refreshments will be available for sale in the Lobby. As the late night hours approach, throughout each 90-minute block the narrators and audience will be issued fun challenges to enhance, complicate, or render completely incoherent some of our most treasured stories. Might we get a priceless opportunity to hear Scott Brick read Fifty Shades of Grey in a Scottish accent with a mouthful of marshmallows? Anything is possible! Alongside the performances there will be raffles with prizes that are sure to excite audiobook and literature fans alike. There will also be an online auction of rare items and once in a lifetime experiences. Maggie Stiefvater sets: Shiver series (Shiver, Linger, and Forever), The Scorpio Races (single title), Raven Cycle series (two titles have been published to date, The Raven Boys and The Dream Thieves) all in library packaging with cover inserts signed by Maggie Stiefvater. New prizes added every week leading up to the show! A small sampling of industry-top narrators who will be involved. Proceeds from the auction will go to the ALS Association. Ticket sales will go toward medical expenses and a new wheelchair for beloved audiobook producer Bob Deyan, who has been suffering with ALS disease for several months. The 25 Hour Audiobook Marathon Live was inspired by audiobook producer Bob Deyan’s current fight with ALS. Bob and his wife, Debra, manage Deyan Audio, a recording and production studio that has produced multiple Grammy and Audie Award winning audiobooks and brought work to hundreds of narrators and audio engineers. While enjoying the grand opening gala of their new studios in Northridge, CA Bob’s leg began tingling. That was the beginning. Bob has been battling ALS for several months now. He has since lost the ability to walk and can now only speak on occasion. Friends, family, and professionals in the audiobook industry were stunned and saddened by Bob’s diagnosis. But ever since discovering he is ill, Bob has made it his mission to battle this disease, which includes raising awareness as well as money for ALS-related charities. Many in the industry have rallied behind him, uniting an often solitary community of professionals. His health, however, has been fluctuating and with the escalating cost of hospital visits and home care the audiobook community wants to pick up the torch by continuing to raise money and awareness for research, and help Bob and Debra with their mounting medical expenses. All donations raised toward Bob’s care will be facilitated by the not-for-profit Help Hope Live. Bob and Debra Deyan LOVE books and especially AUDIOBOOKS! So, when Bob and Debra got married they put their schooling and experience together and dove into the publishing world. When they got started, audiobooks were recorded to 1/4″ tape. Things have come a long way since then! Deyan Audio is a multimedia company, which was conceived in 1990 by Bob and Debra Deyan in Van Nuys, CA. Bob Deyan, from Los Angeles, has a B. A. in Radio/Television Broadcasting from the University of California Long Beach. Debra Deyan from Virginia Beach, holds a MBA from Old Dominion University in Norfolk, VA.
Bob produces, directs, and QCs (Quality Control) audiobooks, as well as manages the company alongside his wife Debra. He has produced over 1,000 audio books. Bob has directed celebrity readers such as Richard Dreyfuss, Craig Ferguson, Raven Simoné, Malcolm-Jamal Warner, Kareem Abdul-Jabbar, Alice Cooper, Dudley Moore, Juliet Mills, Ed Asner, Patrick MacNee and recorded Milton Berle, Whoopi Goldberg and Joe Mantegna and many more. Bob also works with celebrity authors and famous motivational speakers. Besides more than 20 years in the audio book business, Bob has had experience as a Television Director, Videographer, Photographer, Voice Over/Radio Talent and Operations Manager for a Los Angeles based radio station. During his college days at UCA-LB, Bob was chosen out of hundreds of applicants to intern on the set of M.A.S. H. for several weeks based on a script he wrote for the show. Debra manages the editing and engineering team and QCs. Debra is responsible for financials and daily operations. Before Debra started her 20 plus year career in audiobook creation, she used her MBA in the swimming pool supply business as a Director of Regulatory and Legal Affairs for 7 years and prior to that she put herself through college as a saleswoman for 6 years in the wholesale fishing tackle industry. Amyotrophic lateral sclerosis, also known as Lou Gehrig’s disease, is a progressive degenerative disease that affects the nerves and spinal cord. The progressive degeneration of the motor neurons in ALS eventually leads to their death. When the motor neurons die, the ability of the brain to initiate and control muscle movement is lost. With voluntary muscle action progressively affected, patients in the later stages of the disease may become totally paralyzed. There is no cure or treatment to reverse the disease. The mission of The ALS Association is to lead the fight to treat and cure ALS through global research and nationwide advocacy while also empowering people with Lou Gehrig’s disease and their families to live fuller lives by providing them with compassionate care and support. We are a member of the National Health Council and the only national organization solely dedicated to fighting ALS on all fronts while directly serving the ALS community. By leading the way in global research, providing assistance for people with ALS through a nationwide network of chapters, coordinating multidisciplinary care through certified clinical care centers, and fostering government partnerships, The ALS Association builds hope and enhances quality of life while aggressively searching for new treatments and a cure. Mostly comprised of narrators, the committee behind the event includes Tara Sands, Cassandra Campbell, Deanna Hurst-Levin, Steve Sidawi, MacLeod Andrews, Hillary Wilson, Kimberly Farr, Kathe Mazur, Coleen Marlo, Vikas Adam, Michael Goldstrom, Allyson Ryan, and Jessica Kaye. 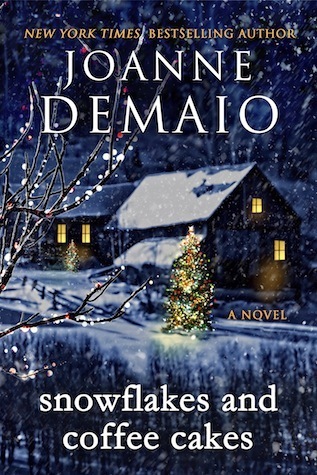 Synopsis: Known for her heartwarming observations of family life, New York Times bestselling author Nancy Thayer showcases her beloved Nantucket’s snowy off-season in this emotionally gratifying and utterly entertaining story. Holidays on this Massachusetts island are nothing short of magical, from the jolly decorations on the Brant Point lighthouse to the much anticipated Christmas Stroll, in which merry makers promenade through quaint streets adorned with Yuletide cheer. The season’s wonderful traditions are much loved by Nicole Somerset, new to Nantucket and recently married to a handsome former attorney. Their home is already full of enticing scents of pine, baking spices, and homemade pie. But the warm, festive mood is soon tempered by Nicole’s chilly stepdaughter, Kennedy, who arrives without a hint of holiday spirit. Determined to keep her stepmother at arms’ length—or, better yet, out of the picture altogether—Kennedy schemes to sabotage Nicole’s holiday preparations. Nicole, however, is not about to let anyone or anything tarnish her first Christmas with her new husband. My take: A Nantucket Christmas begins with a heart-tugging, Disneyesque scene of an abandoned dog looking for his family. 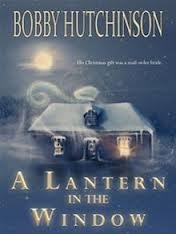 Then the book moves on to the warm, cozy home of older newlyweds getting ready for their first Christmas together. Their bliss is interrupted with the arrival of a spoiled, immature, very pregnant step-daughter who seems intent on reuniting her father and mother. And then the weather takes a dramatic turn. Oh boy! The drama unfolds at a brisk pace that continues to the very end. Nancy Thayer’s Nantucket setting is so inviting it made me want to plan an off-season visit! It provides a charming backdrop to the often frantic goings on at the Somerset home. 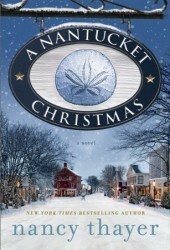 I liked A Nantucket Christmas but recommend you read it on a calm day when you can curl up in your favorite chair with a warm cup of cocoa. You’ll want to be relaxed in your own world as you read about this particular Christmas. Synopsis: A single father who yearns to be a family man, Logan O’Donnell is determined to create the perfect Christmas for his son, Charlie. The entire O’Donnell clan arrives to spend the holidays in Avalon, a postcard-pretty town on the shores of Willow Lake, a place for the family to reconnect and rediscover the special gifts of the season. One of the guests is a newcomer to Willow Lake—Darcy Fitzgerald. Sharp-witted, independent and intent on guarding her heart, she’s the last person Logan can see himself falling for. And Darcy is convinced that a relationship is the last thing she needs this Christmas. 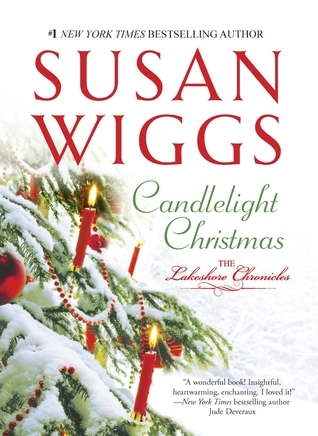 My take: If you’re a fan of the Lakeshore Chronicles by Susan Wiggs you’ll want to read Candlelight Christmas this holiday season. If you haven’t started that series go ahead and pick up this book – after finishing you’ll want to find book one and catch up in the series! Candlelight Christmas is the charming tale of two people who haven’t gotten love “right”. Logan is a single father of one son. Darcy is divorced and not looking to get involved. When Darcy is invited by Logan’s sister to their family Thanksgiving she realizes she is attracted to Logan. They have a wonderful holiday. Weeks go by without any communication and then Darcy is invited to join the O’Donnell family for Christmas. The two enjoy the Christmas week festivities with Logan’s family in a beautiful winter setting. Logan and Darcy see sides of each other that make their feelings grow. 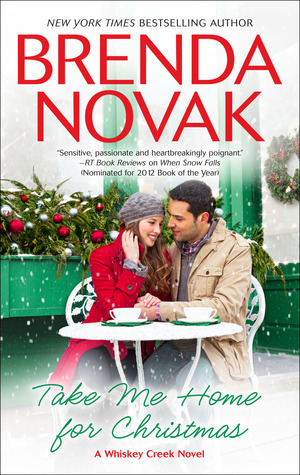 This book has what I look for in a Christmas romance: a great setting, a couple you really want to see find their HEA, and a warm and fuzzy story. Ultimately it’s a sweet story about discovering the true spirit of Christmas. Both young and old learn that the best gift is putting someone else’s happiness before their own.